Please run Geekbench4 - Single Core now at default settings. If you need more info, read more about Geekbench4 - Single Core here (opens in a new window). You are making an anonymous submission. This submissions will not take part in the rankings. benchmark score points Use '.' as a delimiter, not ','. eg '25.91' is ok, '25,91' is not. Do not write units, just the number. Open XTU, click profile tab and export your profile to a file. 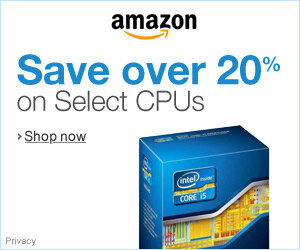 This will work on most Intel based motherboards from 2011 and later. I have unlocked this videocard, and use more cores/shaders/... than factory enabled. These pictures are purely for entertainment purpose, screenshots to prove your score should be attached under 'verification'. I hereby disclose that one or more hardware items used for this submission was provided in the form of sponsorship or paid advertisement. I do NOT want points for this submission. This submission should not contribute to my league position. If you check this, this submission will not receive any points. It will appear in the rankings and the HWBOT WORLD RECORDS page. You can use this if you use hardware which is not available through retail channels (eg. cherry picked samples, ES, hardware under NDA, etc). I have read and agreed to the rules for Geekbench4 - Single Core. Failure to comply to these rules may lead to removal of this submission.